Agrarian system is well adapted in Himalayan eco-system. Hence, the people have adopted the traditional subsistence cereal farming and it becomes the main stay of Himalayan people. About 80 percent of the workable force is attached with agriculture and its allied practices, according to the census of 1991. Although, horticultural farming runs parallel with agriculture, its proportion in terms of land is quite less, resulted in a negligible place in the economy of the region. Human resources, mainly men are attached with national security after recruitment in Army. While, women play a vital and integrated role in maintaining the workable potential in the field of agriculture and are known as backbone of economy. An animal resource implies foremost and wider part in agricultural system and economy as well. Water resources are unutilized yet, while almost all the major rivers of our country are originated from and flowing through this region. Increasing population causes forest resources depletion. The economy of the region is rested either on ‘traditional cereal farming’ or ‘money order based’ development, which could not take place due to its remoteness from the main streams of the country. The impact of modern technology with innovation in agricultural system remains impracticable due to unwillingness of people in one hand and on the other hand, adverse geographical conditions like topography, climate etc. which could not permit the uses of modern innovation in the field of agriculture. As for infra-structurally, this region is lacked behind, due to its inaccessibility. While, this region is bestowed with numerous rivers, many places for tourists and pilgrims, and huge forest resources. They might be used evenly in the development processes. The practice of tourism will help for the further development, particularly, in the wake of the newly born state, Uttaranchal. The present paper aims to evaluate the present potentiality of resources and their balanced utilization in the Pindar Basin. 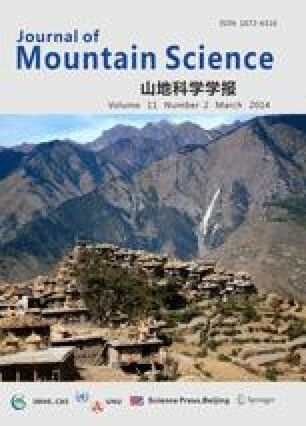 A precise study has been done on resource utilization, ecology and environment with keeping view in mind that more or less exploitation of resources could not influence the environment and the economy of the region.